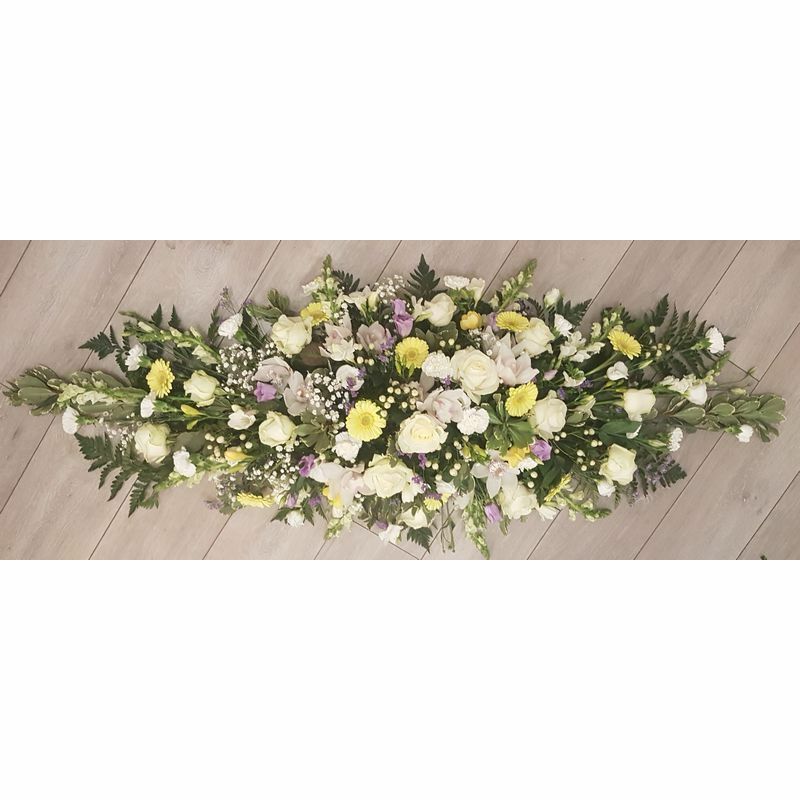 Our casket sprays are designed by the the length that you require. 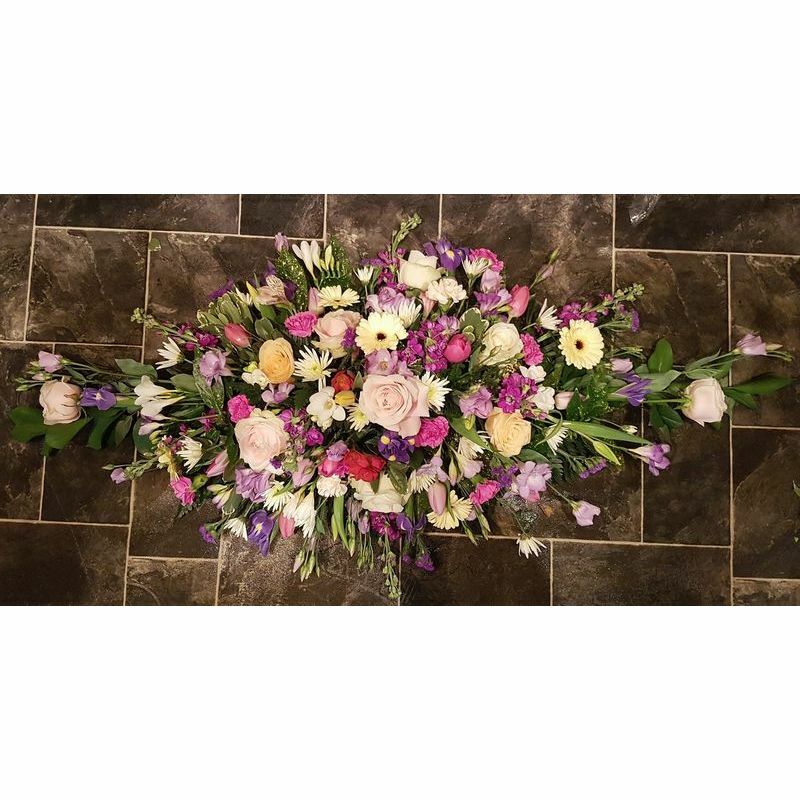 We use a mixture of flowers in the colours of your selection, please specify which colours you'd like in the Flower Info box. 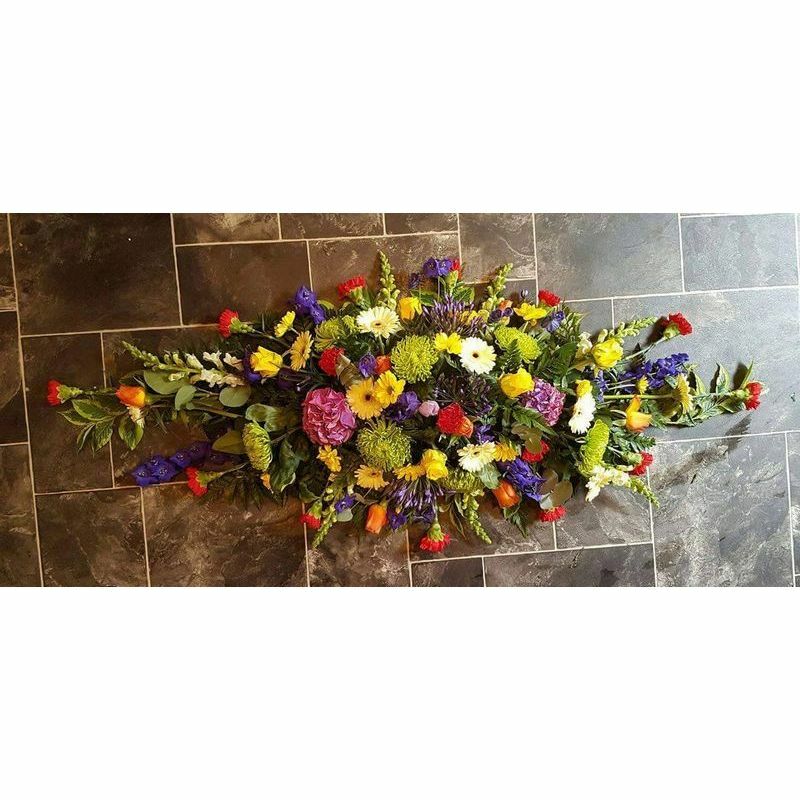 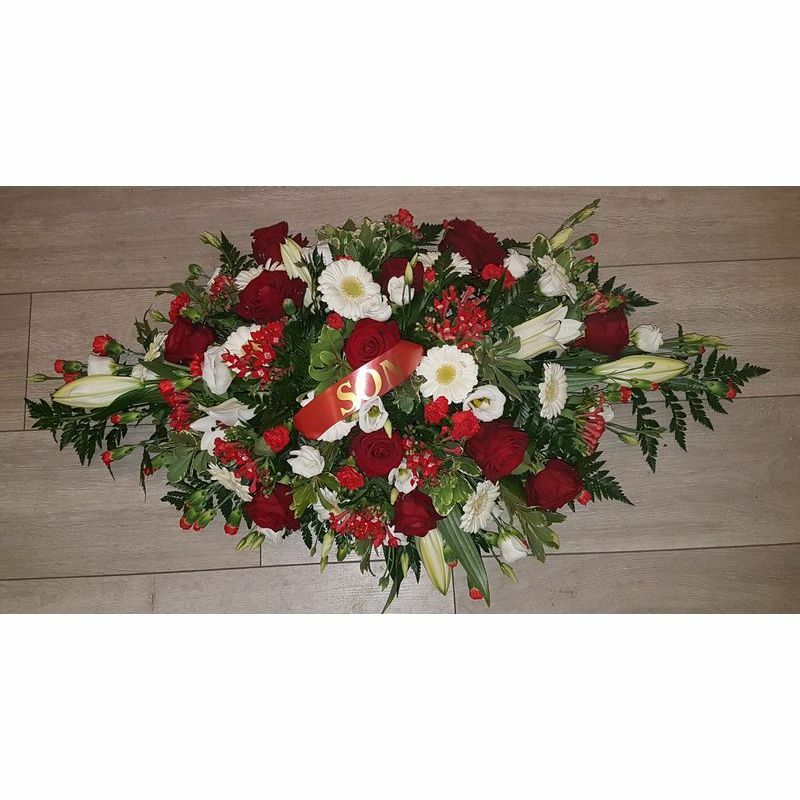 All orders for funeral flowers must be placed 24hrs before the service takes place.